Whether you’re an adventurous eater, a lover of the quirky, or you simply want to freak out your BBQ guests, Australia is home to some excellent produce for weird and wonderful BBQ dishes. Why not mix up the traditional Australian BBQ this Christmas and try something other than the usual chicken, snags or rissoles? Kangaroo has a rich flavour and takes very little time to cook due to its low fat content. Kangaroo should be cooked rare to maximise flavour, and generally only needs a few minutes on each side using a very high heat. And you should always soak the meat in oil for at least 15 minutes before cooking. For tender, juicy meat, wrap in foil and rest for 5 minutes before serving. Marinate kangaroo in red wine, half the oil, herbs, salt and pepper overnight. Salt eggplant for half an hour, rinse, then pat dry. Crisp pancetta on hot BBQ, set aside. In a heavy based frying pan, heat oil over wok burner until smoking. Add eggplant to saute, followed by onions, garlic, chilli, vinegar, and sugar. Remove from heat after 2 minutes and add chopped tomatoes. Chargrill kangaroo for 2-3 minutes each side, lower lid, and leave for 3 more minutes. Remove and rest for 5 minutes. Serve the kangaroo thinly sliced over a bed of warm relish. Finish by crumbling pancetta over the dish. Emu meat is available either vacuum packed or fresh, and can be found in specialty food stores. It’s a great red meat alternative for the health conscious, containing very little fat and cholesterol. Due to the fact that emu is extremely lean meat, it won’t shrink during the cooking process, and a short cooking time is all that’s required. Marinades are well accepted in as little as 30 minutes, and the natural flavours are beautiful when seared properly. Marinate emu with all ingredients for two hours in the refrigerator. Heat BBQ plate to medium high. Remove emu from marinade, and set marinade aside for later. Cook emu for 8 minutes each side, let rest for 5 minutes. In a small saucepan, boil marinade over the wok burner. Serve marinade over thinly sliced meat. Witchetty grubs are some of Australia’s best known bush foods, but they’re also one of the most elusive. The grub is the larvae of a large moth, and is generally only found in central Australia. The taste is similar to sweetened scrambled eggs when cooked. Witchetty grubs can be eaten raw for a creamy taste, or quickly thrown on a hot BBQ until the skin is crisp. Serve with a garden salad to allow the natural flavours of this Australian delicacy shine through, or on toasted baguette with sundried tomatoes and basil pesto. Crocodile is gaining popularity among food lovers due to its succulent white meat and delicious, unique flavour. Crocodile is low in fat and high in protein, and should be cooked in a similar way to pork or chicken. For best results, cook from frozen to lock in the moisture. Additional ingredients should be limited. Marinate crocodile with all ingredients, reserving half of the chilli sauce. Soak bamboo skewers and refrigerate crocodile for 2-3 hours. Thread cubes of meat onto skewers and BBQ over a medium to high heat until just cooked through. Serve with remaining chilli sauce and lime wedges. Wallaby meat tastes great with native herbs and spices, and can be cooked in a number of ways from pan frying to slow braising. When BBQing, look for a sirloin or loin fillet, and coat the meat in olive oil before seasoning to taste. Wallaby has a similar fat content to beef, so cook in a similar way as you would a steak. Always rest for 5 minutes before serving. Reduce port by half in a medium-sized saucepan. Add remaining ingredients, and reduce by half again. Pour sauce over wallaby meat, cooked to your taste. 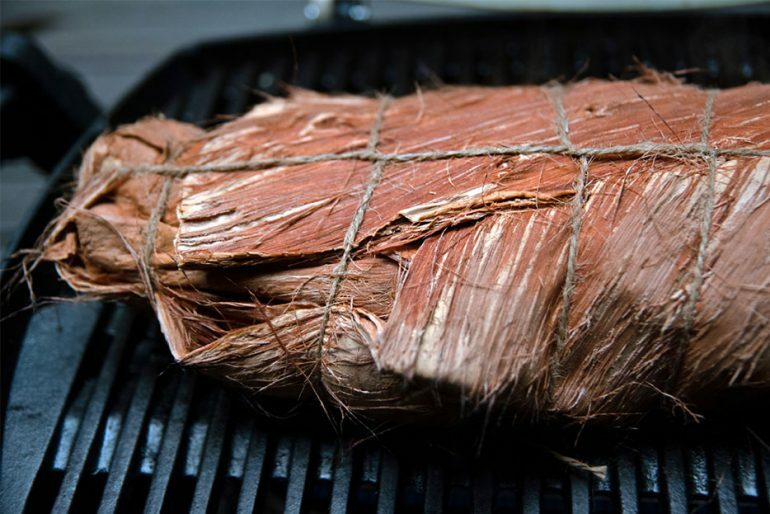 Paperbark is the perfect compliment to coral trout or barramundi, offering a beautiful smokey flavour to fish when cooked on the BBQ. Simply find your nearest paperbark tree and shed some of its bark. Then wash and soak it in water, and wrap around your favourite fish and vegetables. Place barramundi on the paperbark, spray with oil and season with lemon myrtle and pepper. Wrap bark around the fish, folding under sides as you go. Secure with twine. Cook on BBQ for 25 minutes, turning halfway through.